Discussion in 'Map Factory' started by Jack Riguel, Jul 19, 2009. Arena Cargo was inspired by the desire to create an arena map that focused on a changing aspect of play, making the map itself active and, in essence, seem alive and functional, such as the maps Well and Sawmill. Cargo features a slow moving freight train that will steadily block and unblock both team's path to the center control point. I was originally going to post this on fpsbanana but I've been rather frustrated at their current situation as well as their frequent site problems and the lack of support from the site's admins when questioning about these site issues. Anyways, I would like to thank the "A Series of Tubes" Clan for placing the first beta of my map on their server as well as all the support from those who tested the map, including red_flame586, PhanracK, Highlyresponsivetoprayers, and anyone else who put up with the map. This was my first released map and the positive feedback I received was very helpful in creating this second beta. As I've said before, I love hearing back from the community. I want to make maps that others can and hopefully will enjoy. Thus, any constructive feedback, good or bad, will be read and hopefully responded too. Lookin' good so far! Put it in for gameday, I'd love to see how it plays! 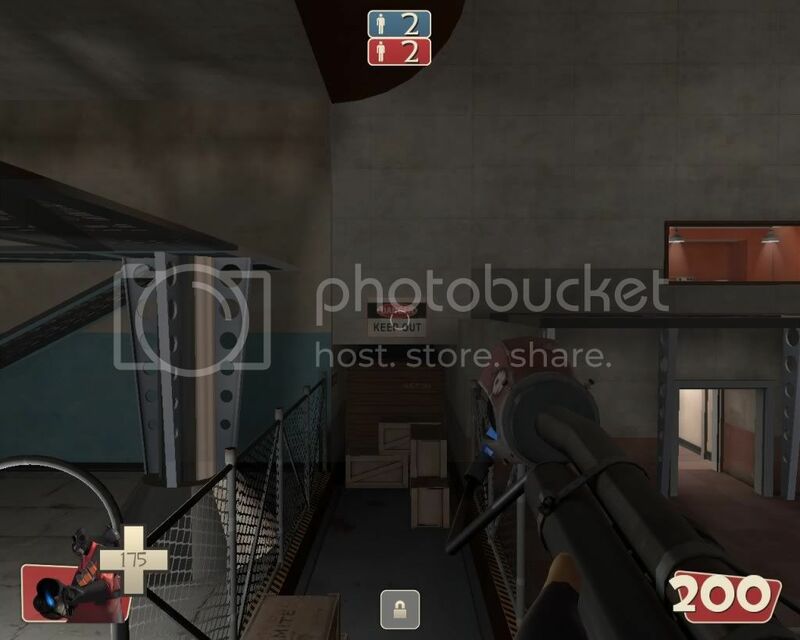 Somehow reminds me of cp_steel. It looks nice, I'd love to see this on gameday. I just changed the link to a filefront one. The file has not changed. Hopefully this will be easier to download. For this one when I jumped on the crates here, and move further forward (and touching the cargo behind them), I'll die immediately even if it's totally open. This camera doesn't seem to be very useful to me. On another note, when I'm playing Engineer I can build during countdown before the round, and whatever I built would magically disappear when the round starts. 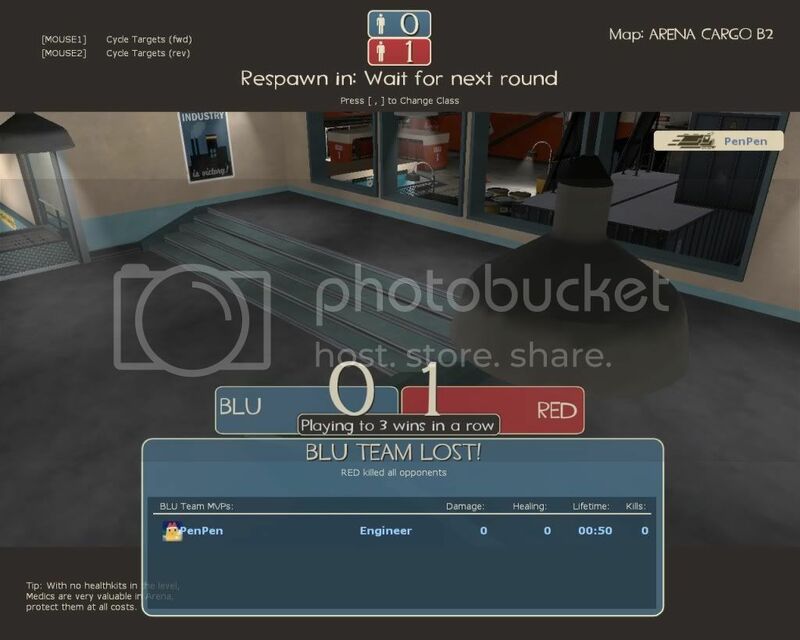 I think you missed out on the func_respawnroom. And I get spawnpoint errors, move up the info_teamspawn thingies a few units and I think they'll be fixed. Hope this would be helpful. Thanks for the run-through. Because of the way the train needs to be made (compared to the train in well) I've had some problems with people dying from it. It seems that when I fix one issue of unintentional train death, another one pops up. Anyways, it took me about 45 minutes to finally get the death you had gotten. I think I should be able to fix it if i clip around the edges of the boxes, since it seems the kill occurs when a player gets stuck in-between the two train beds. As for the spawn-point errors, that's me being an idiot and probably accidently duplicated the spawns on the same spot, since I know that all of them are far enough apart. I'll add a func_respawnroom too for b3, as it seems that the third beta is going to be mostly just optimization fixes and functional fixes. 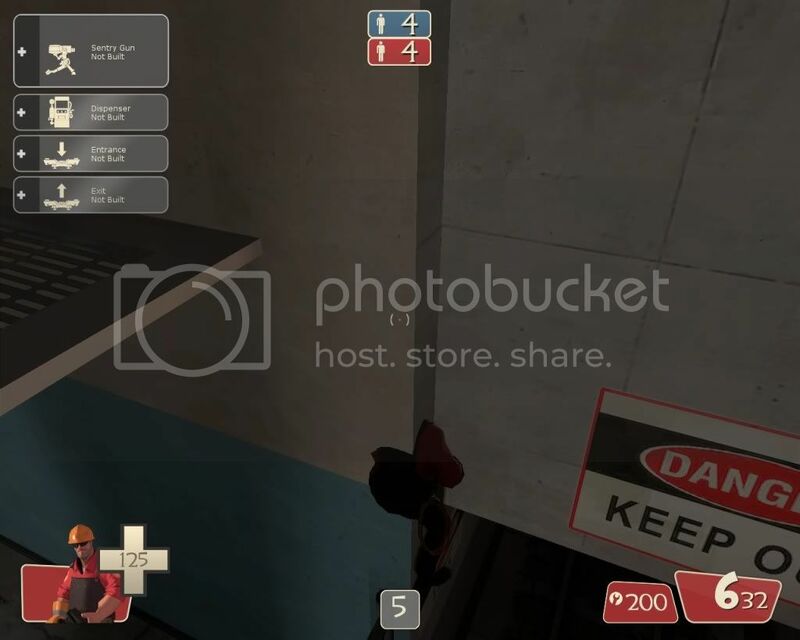 Oddly enough, some of the "official" TF2 maps actually have the same problem in arena with the engineer building stuff before the round starts. Anyways, thank you sent, and I'll throw these items on the list for beta three. Hopefully I'll have a nice large one by tomorrow. Arena Cargo has been updated to beta 3. This contains a major fix that will prevent accidental frags caused by players pushing each other on the train. For a complete list of changes, please read the change log. I host an arena server, and I can tell you that happens with a lot of maps. I believe you can do this in Granary and Well for example, probably more? This was pretty great, other than the one or two errors that popped up with the train that you're already aware of. If you can fix its few withstanding problems this will be a very successful arena map, I think. I'm gonna need a bit of collaboration before I can release beta 4. 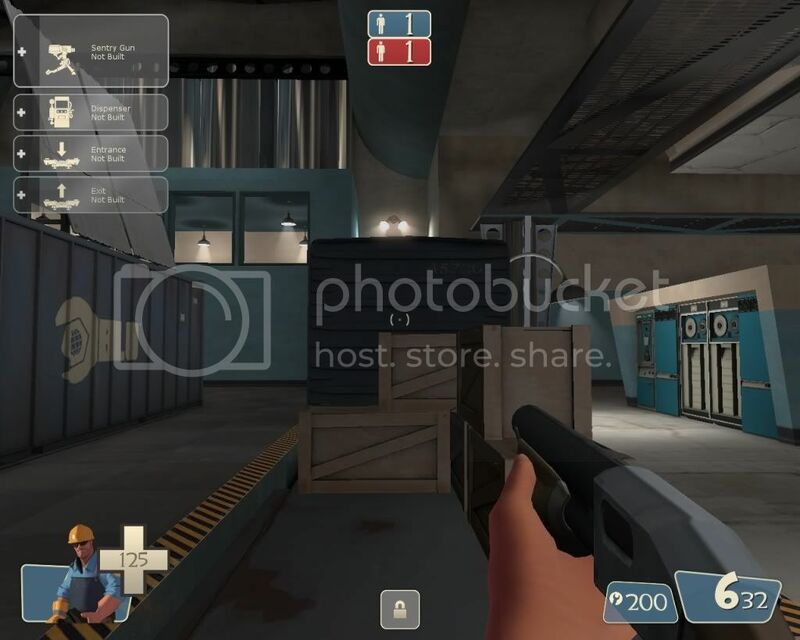 For those who downloaded this map can you check to see if blocking the train as a player kills you? I checked again and the flags are up on each train for being unblockable by players, however for some reason when the map was loaded on the server the flags didn't work as they did in my own tests. Any response to this issue would be appreciated. I tried this with a few bots mimicking me and running around. So far no train kills, which is good. I seemed to get stuck here, and can't jump or move my way out of it. Under the bridge, outside the spawn I can crawl into the train spawning area with this cart, and got stuck but wasn't killed. And I seemed to get stuck over here as well, the first time I passed through the wall and died. Pretty interesting since when I jump at the wall, it's solid but it allows me to pass thru when I'm just standing on the train. 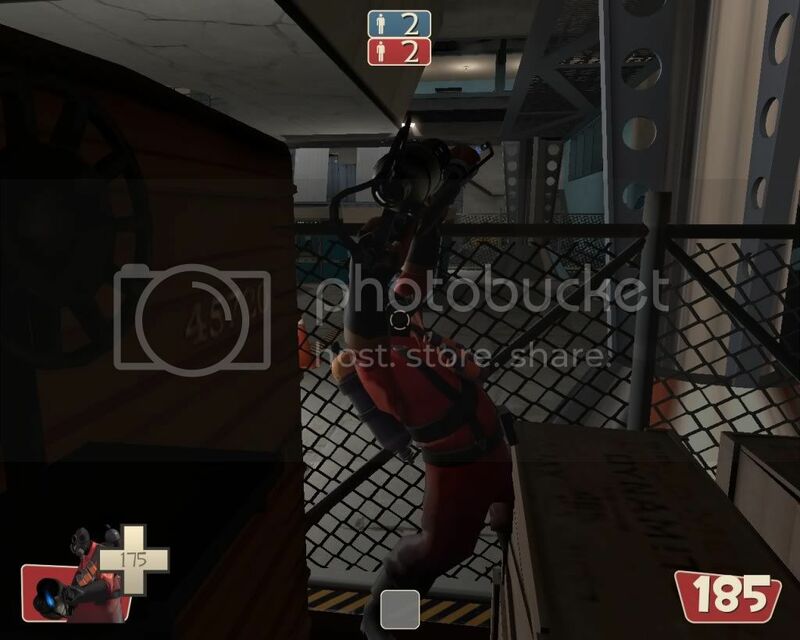 And the second time I got stuck in the wall (with like 3 bots who were mimicking me). For the last two I don't really know what the solution would be since I'm unfamiliar dealing with trains and moving objects, so that's all I am able to help find for you. Right then. I'm going to blame the compiled version then and say something screwed up in the process, since it very much should not be doing that. PenPen, if you blocked the train using the gate or the doorway outside of spawn did it kill you, did you just magically travel through the wall, or did the entire train stop (and did the train get off, like one of the train cars was halfway through another one? You do get killed since you're being 'squeezed,' this happens by the fences as well. I just tried it again. And by train kills, elaborating on what I said above, I'd mean something like the last gameday where multiple people standing on the same train cart would somehow result in death. Alright then. It seems to me that the major problem (which was the train stopping once a player blocked it) must have happend when the map was uploaded to the server. 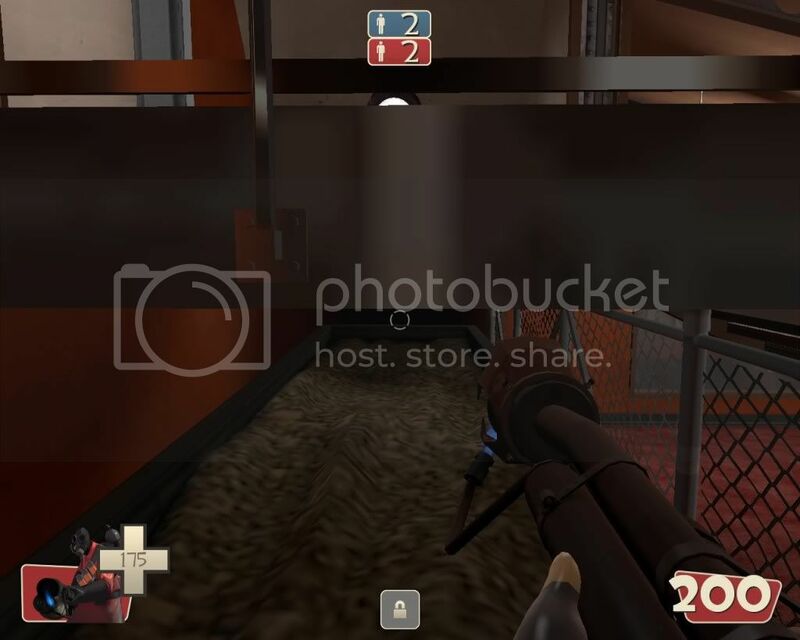 So in that respect, either the map file was corrupped when it was downloaded, or something on the tf2maps.net server deleted some information in the bsp. Either way, I'm still going to do another beta just in case. I'm trying to solve the train problem where you get stuck on the train, but I've run into a few dificulties as it still travels through any clipping addeed (even at an angle) and so far it seems to be ignoring the trigger_push brush I've placed there (it might be too small though so I'll check again once I get off work). Anyways, thanks for all your help mate. EDIT: Ah yes I figured the player push kill was what you were talking about. I fixed that issue, however the issues I saw were some straange shadow renderings (which were not present when I tested the map before submitting it) and the fact that the train would stop dead in its tracks when a player blocked it (which also didn't happen when I tested it with bots and myself). Map now updated to beta 4. Gameday slot reserved on Sunday. Right, as today's testing shown, it looks like this idea just isn't going to fly. I'll release an RC in the coming weeks that'll have a static train rather then an operational one, then move on to greener pastures. It was a nice idea, but it just seems that the steam engine does not want to cooperate. I'm gonna test this on one other server before I bin it though, since I'm still about 70% certain that one of the problems in serverside rather then based in the map. Played this on gamesday, thought it wa great! The train death thing: I liked the idea (even when I got caught myself, and lost the match for our team), but it seems like there should always be a way out. I noticed that some of the trains had boxes to allow you to jump to their roof - but not all? Aw man. I really liked the idea, and it's a shame things aren't working perfectly. It's a great layout and a great concept. I'm still fairly confident that the issue lies within the server and not the map. Since this release I've heard others mention how the server breaks a few other maps, even causes them to crash when other servers accept the map just fine. I'm still attempting to get this map up on a different server to see if my theory is correct, however I'm having trouble getting it on my own clan's server or anyone else's for that matter. Regardless of what happens though, I'll release the RC soon after I see the map on another server.